Commands : SECTION, SECTIONPLANE, LIVESECTION, SECTIONPLANESETTINGS, SECTIONPLANETOBLOCK. 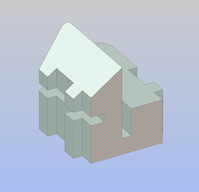 The Section command creates section planes of 3D solids; the results are region entities. The SectionPlane command creates a section entity that creates sections of 3D solids, surfaces, and meshes. The LiveSection command toggles the Live Section property of a section plane. 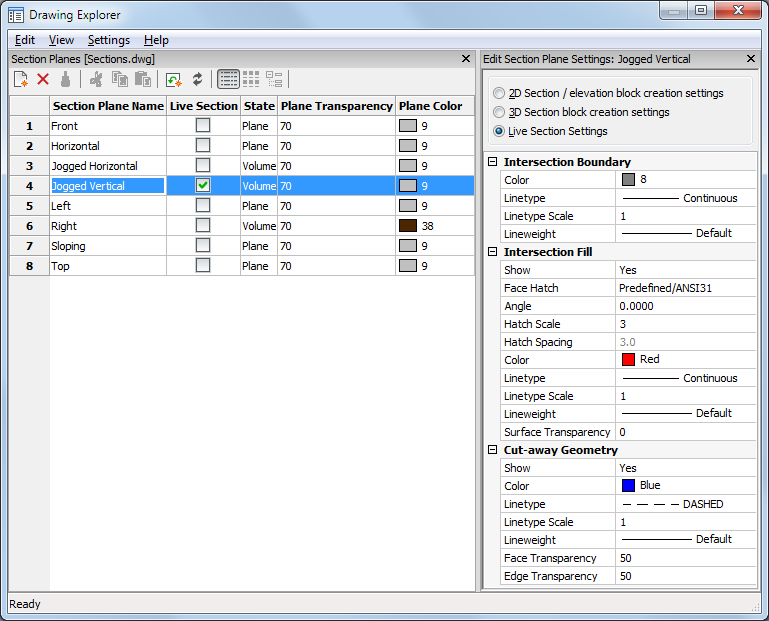 The SectionPlaneSettings command defines the properties of a section plane entity in the Drawing Explorer - Section Planes dialog. 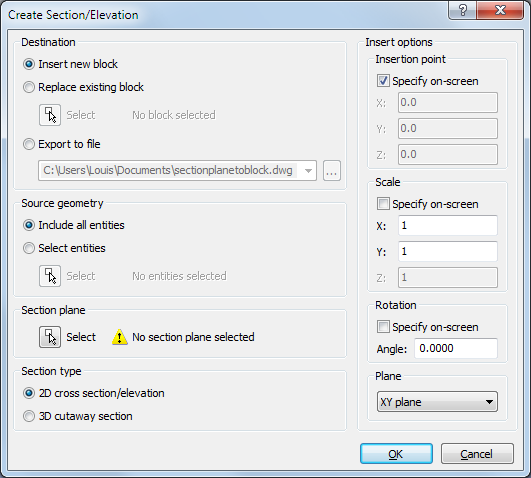 The SectionPlaneToBlock command saves the selected section plane to a 2D cross section / elevation block or a 3D cutaway section block. 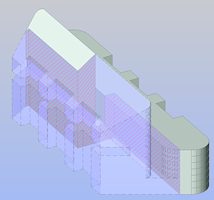 The BimSection command creates BIM section entities, which are SectionPlane entities with extended properties, such as type (plan, section, elevation)and scale. Click the Section Plane tool button ( ) on the Sections toolbar. Choose Sections > Section Plane in the Model menu. 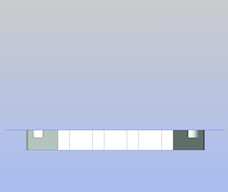 Type sectionplane in the command bar. Choose Select Face in the prompt menu or type F in the command bar. 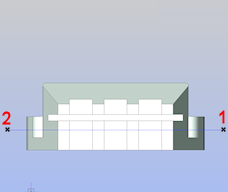 Select the face of a solid you want to align the section plane to. 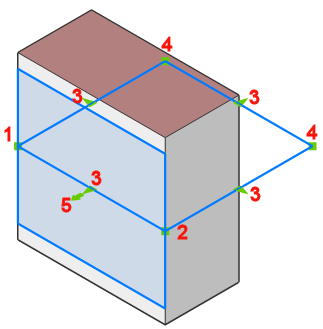 The section plane is aligned to the selected face. The Clip Display property of the section entity is switched on automatically. 4. (option) Edit the properties of the section plane. Make sure the WCS is the current coordinate system. The section plane is created through these points and perpendicular to the XY-plane of the current coordinate system. 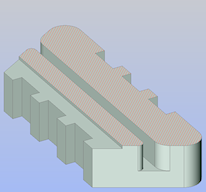 The part of the solid at the right hand side of the section plane is cut away. The Clip Display property of the section entity is not switched on automatically. Choose Front in the Look From widget. Type ucs at the command prompt, choose the View option in the prompt menu or type V in the command bar. If UCSORTH0 = ON, the UCS is aligned with the view automatically. 5. (option) Edit the properties of the section plane. Choose Draw in the prompt menu or type D in the command bar. Specify the first point (1). Specify the other points (3 - 6), the right click or press Enter to stop. Click a point (7) to specify the direction of the section entity. The part of the solid opposite to the direction of the section entity is cut away. 8. (option) Edit the properties of the section plane. Choose Front in the Look From toolbar. Specify the second point (2). Specify the other points (3 - 6) , the right click or press Enter to stop. The section plane gets the Boundary state. 9. (option) Edit the properties of the section plane. Choose Orthographic in the prompt menu or type O in the command bar. Pick the orthographic section orientation of your choice in the prompt menu or type the corresponding option in the command bar. 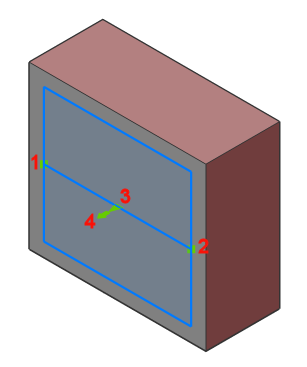 Orthographic section planes are created through the center of the solid, parallel to the XY-plane (Top and Bottom), YZ-plane (Left and Right) or XZ-plane (Front and Back) of the current coordinate system. Choose Drawing Explorer > Section Planes in the Tools menu. Choose Sections > Section Plane Settings... in the Model menu. Type sectionplanesettings in the command bar, then press Enter. Open the Drawing Explorer - Section Planes dialog. 2. (option) Click the Section Plane Name field, then click again to type a new name. 3. (option) Click the Live Section check box of a section plane to toggle the Live Section property of the section plane. If necessary, click the Regen tool button ( ) in the Details toolbar to update the display. 4. 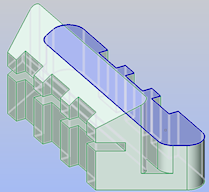 (option) Click the State field of a section plane to choose a different state for the section plane. 5. (option) click the Plane Transparency field of a section plane to change the transparency of the section plane entity in the drawing. 0 = Opaque, 100 = Transparent (invisible). 6. (option) Click the Plane Color field, then choose a new color in the Select Color dialog. Select the section entity in the drawing. Name: allows to rename the section entity. 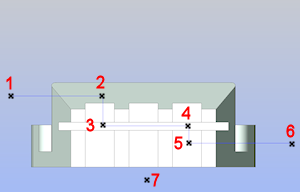 State: click, then select Plane, Boundary or Volume. Live Section: click, then select Yes or No. Clip display: click, then select Yes or No. Use lids: click, then select Yes or No. Plane transparency: allows to define the transparency of the section plane. Plane color: allows to define the color of the section plane. In both statuses all drawing content is sectioned and clipped-away parts are no longer displayed. Live status: entities in a drawing are temporarily modified, e.g. clipped solids are replaced by temporary solids with a different shape. Clip Display status: the display of entities is clipped. As in the AutoCAD 3DCLIP command, entities are not replaced by temporary versions. Different from the Live status, the Clip Display status allows to continue using all modeling and editing operations on all drawing content. While the 3DCLIP command allows to clip the display by a Front and a Back plane, it is not very useful because these planes must be reset whenever the view direction changes. Using a Section entity to control which part of a model is displayed, makes it easy to store and repeat display states. Besides the Plane state, which typically clips a model in two halves, also the Boundary and Volume state of section entity can be used. As opposed to the Live status, the Clip Display status can be set for multiple section entities simultaneously. Clipped solids can optionally be closed by setting the Use Lids option. Although it has been made possible to snap to the geometry of these lids, they are not actually added to the drawing. 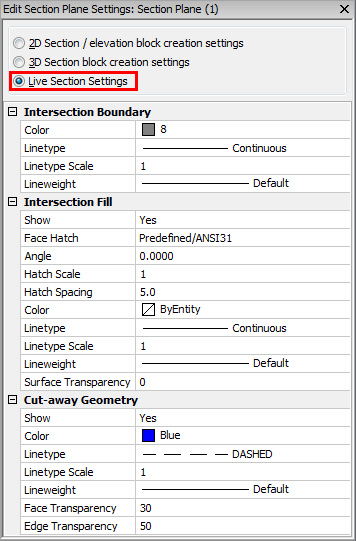 If enabled, the hatch pattern defined in the 2dSection Intersection Fill settings of the section entity displays on top of the lids. 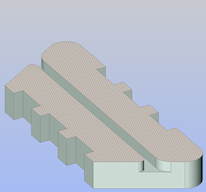 Select the section plane entity in the drawing. Depending on the current state of the section plane entity a number of grips display. 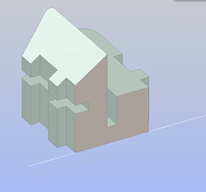 (option) Switch on the Live Section property of the section plane to see the result of the modifications dynamically. 1 ( ) = origin point: moves the position of the section plane in the XY-plane. 2 ( ) = through point: redefines the through point of the section plane. The section plane is rotated around the origin point (1). 3 ( ) = midpoint: moves the section plane parallel in a direction perpendicular to the section plane. 4 ( ): click to flip the view direction of the section plane. The section plane boundary is stretched and rotated around the origin point (1). 3 ( ): stretches the section plane boundary parallel. 4 ( ): modifies the shape of the section plane boundary. 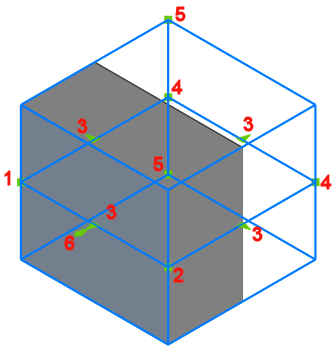 5 ( ): click to flip the view direction of the section plane. The section plane volume is stretched and rotated around the origin point (1). 3 ( ) :stretches the section plane volume parallel. 4 ( ): modifies the shape of the section plane volume. Polar Tracking must be on to move grips 5. 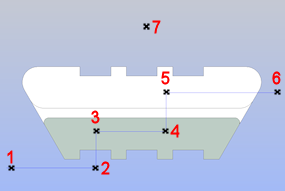 5 ( ): modifies the height of the section plane volume. 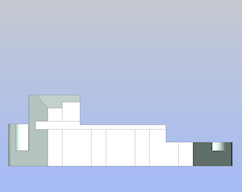 6 ( ): click to flip the view direction of the section plane. When the Live Section property of a section plane is on, the sectioning of a 3D solid, surface or region displays in the drawing. If the section entity is moved or modified, the sectioning is updated dynamically. The Live Section Settings of the section entity control the appearance of the live section. Method 1: Using the LiveSection command. Click the Live Section tool button ( ) on the Sections toolbar. Choose Live Section in the Model > Sections menu. Click a section entity in the drawing. The Live Section property of the selected section plane is toggled. Method 2: Using the Properties bar. In the Properties Bar, under Selection Entity, click the Live Section field and select Yes. Method 3: Using the Drawing Explorer - Section Planes dialog. Click the check box in the Live Section field. Select Live Section Settings in the Edit pane on the Drawing Explorer - Section Planes dialog. The live section settings display. 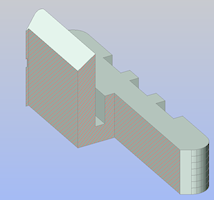 Insert a section in the drawing as a 2D section / elevation block or a 3D cutaway block. Replace a section block (e.g. when the section entity has been modified). Save a section to a new drawing. 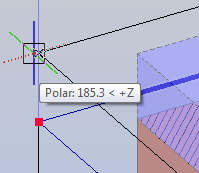 Click the Section Plane to Block tool button ( ) on the Sections toolbar. 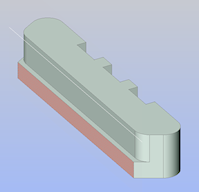 Choose Section Plane to Block in the Model > Sections menu. 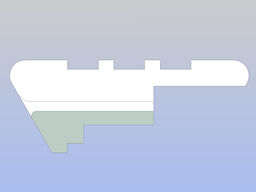 (option) Adjust the 2D Section / Elevation settings of the section plane entity. Set the Destination to Insert new block. Choose Include all entities to include all 3D solids in the drawing. Choose Select entities, then click the Select button ( ) to select 3D solids. Under Section plane, click the Select button ( ), then select a section plane entity in the drawing. Set the Section type to 2D cross section/elevation. Adjust the Insert options (see Insert a block). The Create Section/Elevation dialog closes. The block is attached to the cursor. Follow the instructions in the command bar to place the block in the drawing. 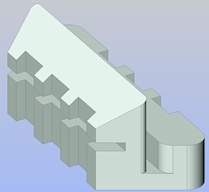 (option) Adjust the 3D cutaway section settings of the section plane entity. Set the Section type to 3D cutaway section. Set the Destination to Replace existing block. Click the Select button ( ), then select the block to be replaced in the drawing. 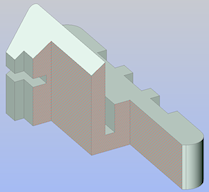 Choose 2D cross section/elevation , to replace the block by a 2D section / elevation block. 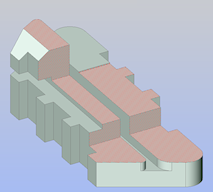 Choose 3D cutaway section, to replace the block by a 3D cutaway section block. The selected block is replaced. Set the Destination to Export to file. Choose 3D cutaway section . 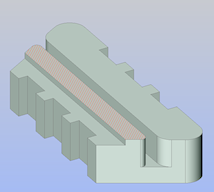 to replace the block by a 3D cutaway section block. A section is saved to a drawing.